In August of 2010, Utah National Parks Council put out their 2010-2011 Pow Wow book. It is a 414 page PDF document. 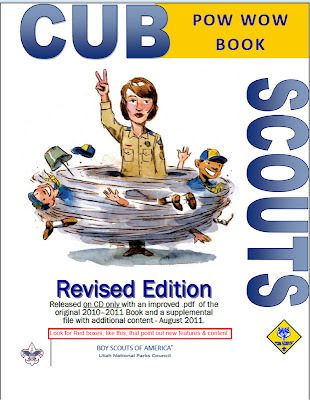 There are many pages with Core Value Info, and many pages that will be helpful with dens, pack meetings, and many other Cub Scout items. There is some great information. See the Table of Contents below to see what is in the book. 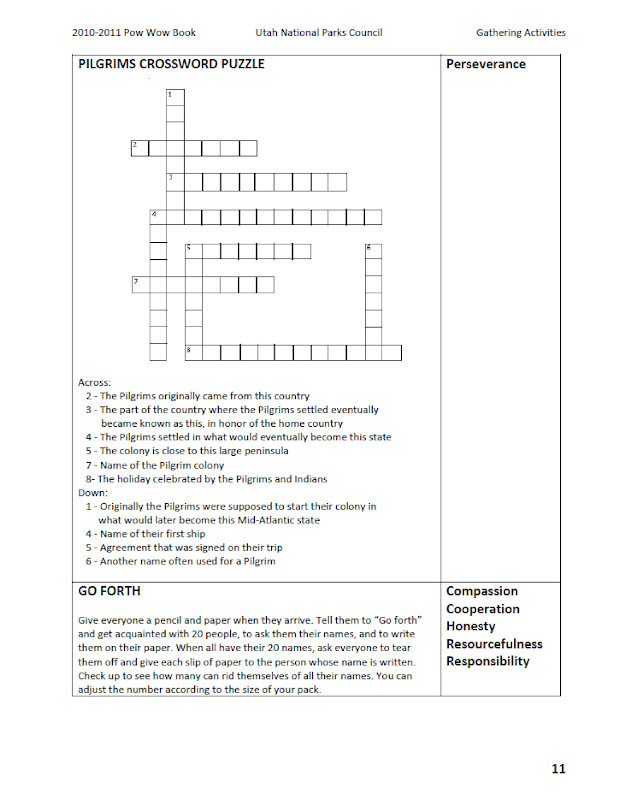 Hope you have fun checking it out. Below are pictures of a small portion of what is available, but what you will open up are crystal clear PDF's ready to be printed. 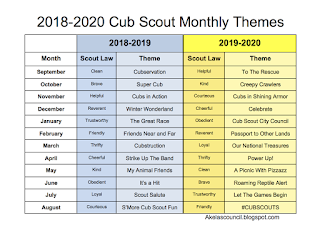 Where can I find Scout Stuff?